Larry Andersen uses a roof rake to reach the snow that accumulated on his van in Cornville on Thursday. 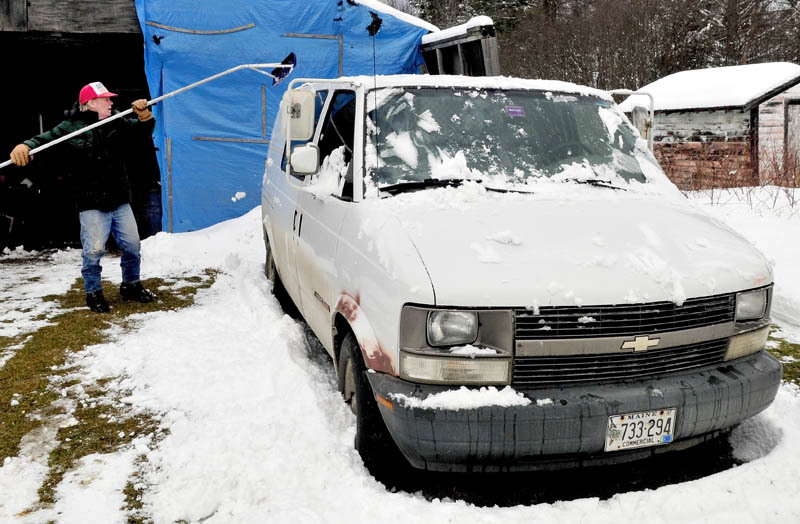 Larry Andersen uses a roof rake to reach the snow that has accumulated on his van in Cornville on Thursday, Jan. 17. 2013.